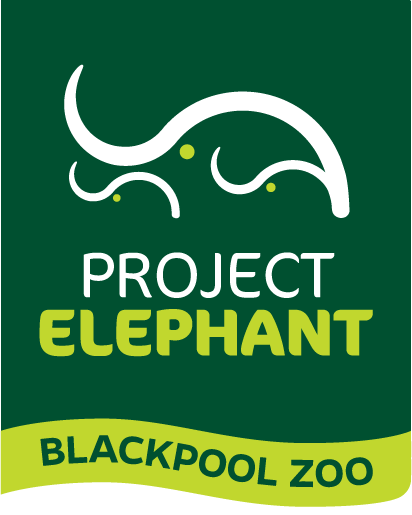 Project Elephant Base Camp represents the single biggest investment in the history of Blackpool Zoo. The state of the art facility has been specially designed around the complex welfare needs of the mammoth species. 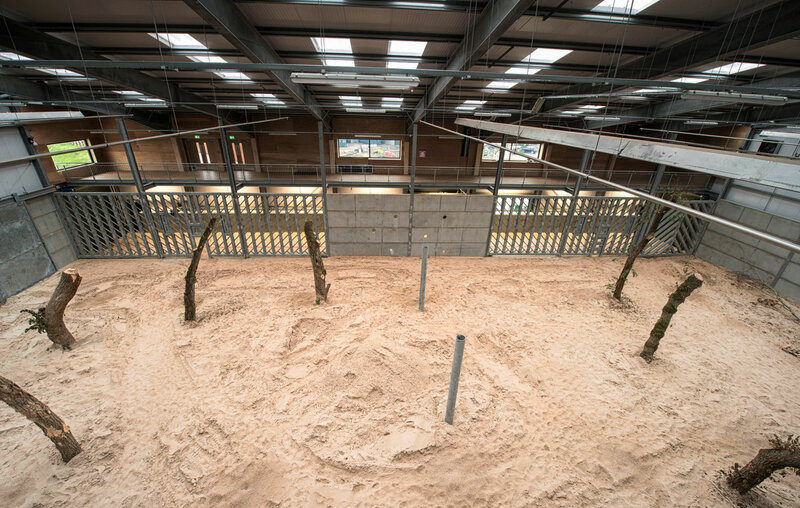 Project Elephant Base Camp is now the largest indoor elephant house in the UK, with state of the art equipment and facilities. The outdoor areas include two individual sanded areas complete with bathing pool and a landscaped grass paddock. 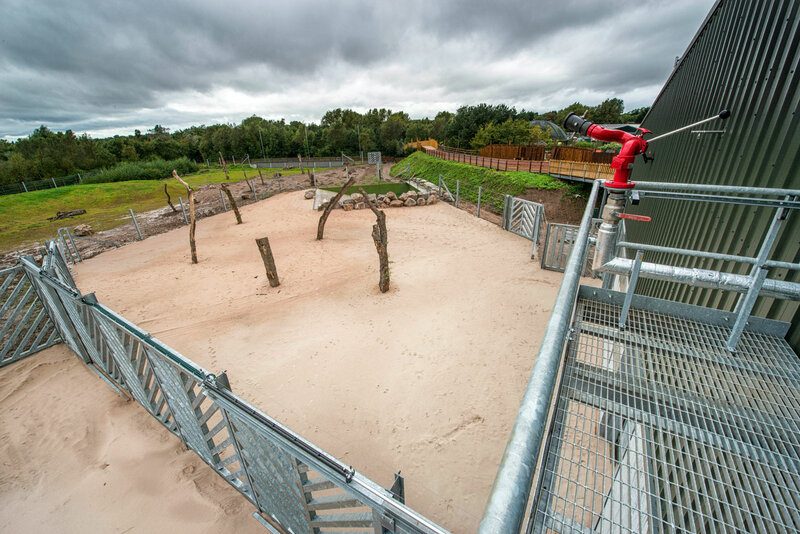 Built on 3 acres of previously unused land, Base Camp can now be accessed through our ever-popular Dinosaur Safari. Base Camp is the nucleus of the Project, it is not only where the elephants' physiological requirements are cared for, it is also where the educational aspects of the project are encountered - from interactive displays to unique insights into the world of this magnificent land mammal. Visitors are treated to a spectacular, birds eye view of our elephants from the public walkway. This is the largest of the indoor areas and features a 1.3m deep sand habitat which is turned and sculpted daily and refreshed using an overhead sprinkler system. This open plan living area is where we hope our elephants will spend the majority of their time. The area is adorned with replaceable tree trunks, to encourage natural behaviour as the elephants stretch to strip the bark and to diffuse any unnecessary aggression between individuals. Overhead hoists can suspend branches and hay nets above their heads, encouraging the elephants to use their natural biology by reaching for food thus strengthening their trunk, neck and shoulder muscles. Feed and other sensory objects can be concealed behind feeding walls to encourage natural foraging and investigatory behaviours. Below the visitor walkway is a keeper corridor and training wall, providing access for training and health checks. The entire facility has been built with an adult male elephant in mind - being considerably larger than females, adult male elephants are naturally much stronger too. The facility has been reinforced to ensure that it is safe for any elephant, no matter how large (or small!). This will allow for easy management of an adult male (known as a bull) in the future, although our hope will always be that the herd spend as much time together as is feasible. You can see in this image the different types of flooring you'll find in Base Camp - some areas have a very deep bed of sand while others have a rubber material, which provides another substrate for our elephants to choose from, particularly when lying down to sleep. For a human to walk on, the rubber flooring feels very solid however to an elephant (weighing in at 67 times heavier than your average human) it will feel quite cushioned! Of course, it's not just our elephants that will call Base Camp home - our dedicated team of Elephant keepers will be spending up to 9 hours a day here! In the centre of the building is a specially designed Keeper Hub, from here they can access every area of the house. In the corner is a kitchen area, perfect for preparing more than 40kg of food for each of our residents to eat daily. 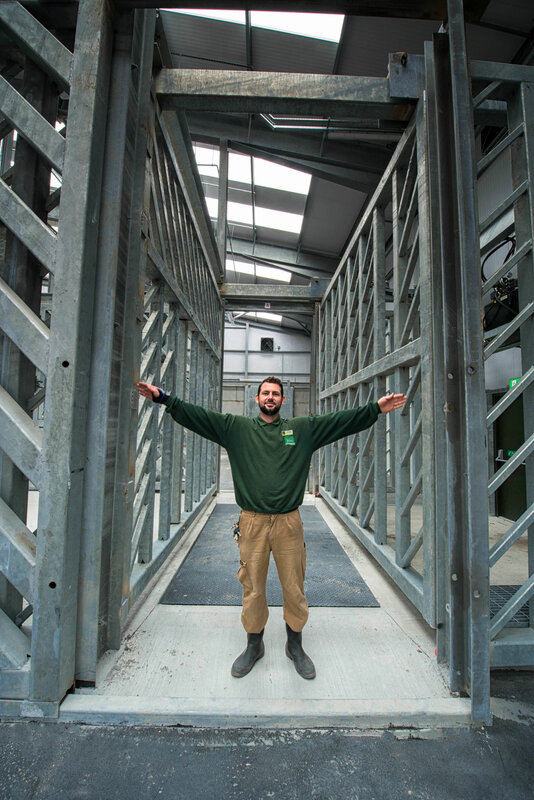 The stairs from the Keeper Hub lead up to a high level gantry, which gives access to hydraulic machinery, motorised feed winches and the sprinkler system. To one end of the gantry is a observation deck overlooking the outdoor habitat, while at the other end you'll find a suspended Keepers' Office - where strategic planning of the programme takes place, and everything from feeding habits to elephant behaviours are carefully recorded and documented. As you can probably imagine, with the average elephant weighing in at around 3.5 to 5 tonnes, it takes a pretty hefty set of scales to weigh the residents of Base Camp. 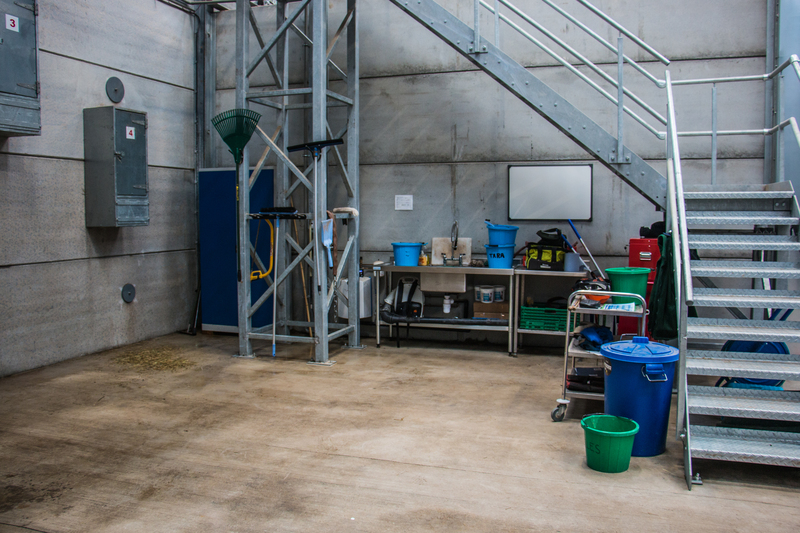 By using training (operant conditioning) and by positively reinforcing behaviours with food rewards, we can encourage our elephants to walk into this space and onto the weighbridge platform (the dark coloured rectangle on the floor). From here, we can measure their weight to a 10th of a kilogram using the digital scales beneath. This close monitoring of their weight provides vital information about their health and nutritional requirements. This is just one of many features designed to enable us to provide the best possible care for our elephants. 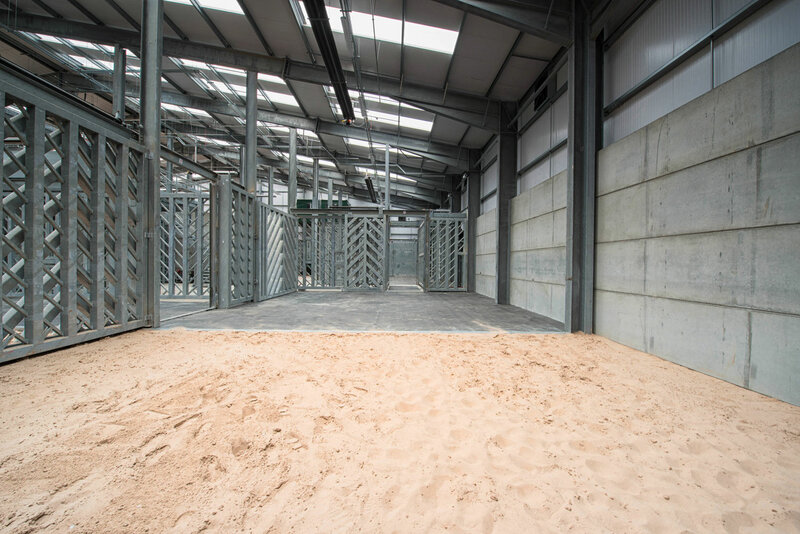 The space provided on the weighbridge allows keepers and vets to perform health checks, training and specialist medical procedures, such as EEHV management or standing sedation should we need to, with our elephants in a space that is both safe for the elephants and those taking care of them. We work with elephants in a protected contact system, whereby elephants and keepers do not share the same space at any one time. The weighbridge allows keepers to work much closer with the elephants as although the elephants can easily walk through the bridge without touching either side, it does prevent them from turning around - just another way we can ensure the safety of both our elephants and keepers. The outdoor habitat is made of two distinct spaces - an all weather sand area (which can be further divided into two) and the undulating grass habitat. The keepers' observation deck allows for visual monitoring of the herd in all areas of the outdoor habitat, with views across the enclosure and into the zoo beyond. Rainwater collected from the roof of the building is used to feed the water cannon - perfect for showering elephants out in the paddock and keeping them cool on a warm day. The grass habitat provides us with a multitude of options to change and develop their habitat through the provision of different substrates, mud wallows, landscaping and the alternative and challenging ways food can be provided. A 12ft deep pool provides a perfect bathing opportunity for our elephants, with a gentle slope down at it's deepest point an adult elephant could be fully submerged - despite their large size elephants are surprisingly good swimmers! The pool is filled using recycled rainwater from our rainwater harvesting tank. Features such as the pool, trees, mud, mounds and boulders allow the elephants to undertake their own natural physical care - bathing and exfoliating themselves in the same way their wild cousins would do. After more than five years of planning and two years of building... Project Elephant Base Camp will open it's doors to the public ready for Easter 2018. Plans for Project Elephant Base Camp were in the pipeline for more than 5 years before the doors finally opened in Spring 2018. Previously, our elephants were housed in our old Elephant and Reptile House, which started out life as an aircraft hangar during World War II before being put to good use for large mammals when the zoo opened in 1972. However, recommendations for the keeping of elephants have changed over the years with the importance of animal welfare and health and safety considerations becoming more prominent. 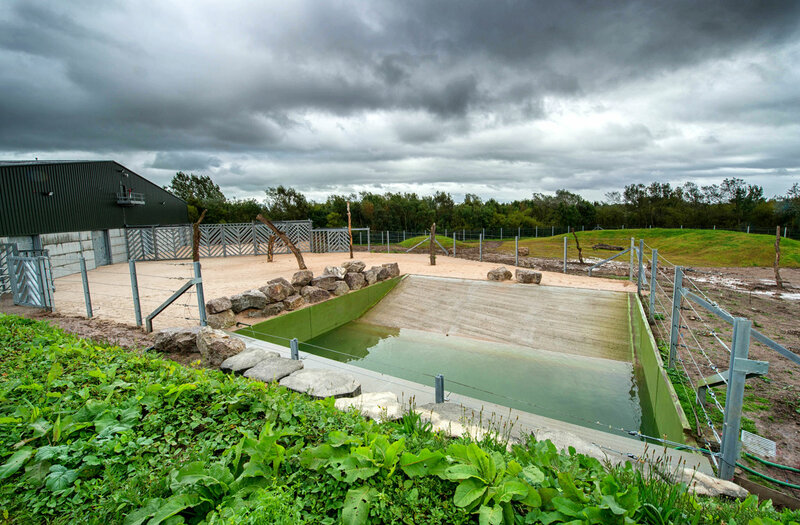 Our Director and senior animal staff looked at various elephant facilities in the UK and Europe and have combined the best features to create a state of the art facility. After housing elephants for nearly 45 years, the old Elephant and Reptile House is part of some exciting future plans, which may even see new species brought to the zoo. Currently, our five year plan suggests the area would be to transformed into an Asian Tropical House and to bring back rhinos, a species housed here for a few years in the very early days in the 1970's. Other species may include Asian birds and reptiles, but this development is still at the early stages of discussion.  All we can guarantee is that it will be very exciting and it will add a new dimension to your day out at Blackpool Zoo.